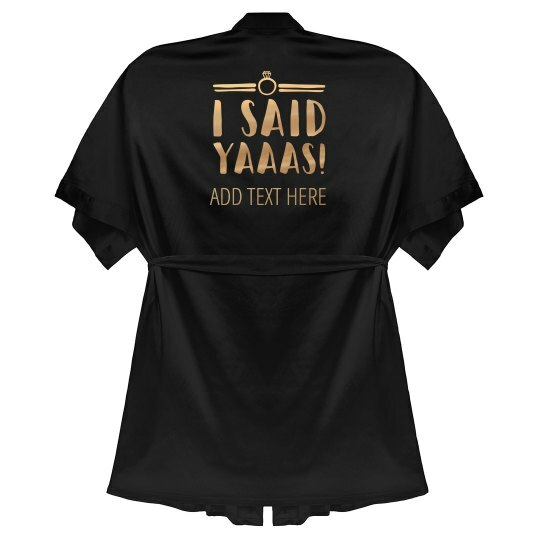 You said yaaas! Congrats! Personalize a trendy, metallic, silk bathrobe to wear during your bachelorette bash, before the wedding, and on your honey moon. Customize this cute and classy kimono by adding your own text.